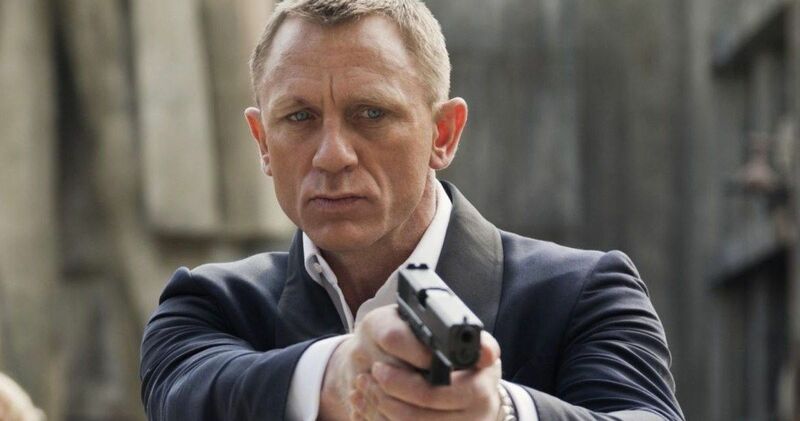 Veteran 007 writers Neal Purvis and Robert Wade have circled back around to James Bond 25 The Bond producers are doing what they can to get the follow-up to Spectre back on track in the wake of director Danny Boyle’s departure from the project. Boyle departed over creative differences and now, the search is on for a new filmmaker to tackle what will ultimately be Daniel Craig’s final turn as the iconic MI6 spy. In the meantime, Purvis and Wade will be working on a new script. Neal Purvis and Robert Wade have worked on every single movie in the franchise since 1999’s The World is Not Enough. They were initially brought in to pen a draft of the screenplay while a director search was being held. Once Danny Boyle agreed to come on board, he brought along writer John Hodge (Trainspotting) to work on their own screenplay, which the producers agreed to. Now that Boyle is off the project, the screenwriting duo will flesh out an earlier treatment they wrote into a full screenplay. So, the movie isn’t exactly starting from scratch again, but close to it. This means that many of the rumors we’ve heard regarding the plot for James Bond 25 hold less credibility now than ever, since a new screenplay is being worked on. While that is taking place, Barbara Broccoli, who is the producer at the top of the food chain when it comes to the franchise, is said to be meeting with possible directors. Several names have come up including Edgar Wright (Baby Driver), Christopher McQuarrie (Mission: Impossible – Fallout) and Yann Demange (White Boy Rick), but no decisions have been made. While Purvis and Wade will flesh out the script on their own, it’s quite likely that whoever is hired to direct will want to put their own spin on it. Sam Mendes, who directed by Skyfall and Spectre, had John Logan come in to do some additional work, for example. All of this makes it seem very unlikely that the original November 2019 release date will stick. We had heard reports previously that Danny Boyle’s exit put the release date in jeopardy and, given how much pre-production work goes into one of these movies, it seems probable James Bond 25 will be delayed to 2020. Since the franchise has made a habit of debuting in the winter, it could be a full five years between installments, as Spectre was released in 2015. At the very least, there could be some comfort in knowing a couple of guys with a lot of experience in this world are trying to steer the ship in the right direction. Daniel Craig is, himself, an excellent Bond and deserves to go out with a great entry. It would be very disappointing if this turns out to be another Quantum of Solace situation. We’ll be sure to keep you up to date as more details on the project are made available. This news was first reported by The Daily Mail.